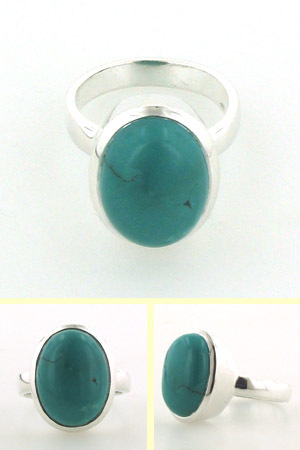 Large oval turquoise ring set into sterling silver. This ring has a fabulous large oval turquoise gemstone, smoothly polished and set into its setting - it won't catch on clothing or similar. 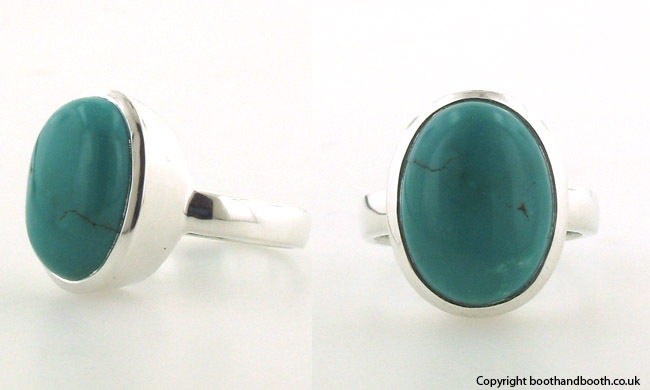 The turquoise is natural and richly coloured. It works wonderfully dressed up or with casuals. The sterling silver band and setting is plain, sleek and chunky. 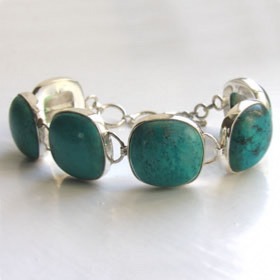 Turquoise is the birthstone for December - see all our turquoise jewellery!